MARTY HAGGARD: A TRIBUTE TO MY DAD | Love Productions Inc. There are few musicians and singers who have such a revolutionary impact on the world of music as Merle Haggard. His lyrics and songwriting have influenced everything from bluegrass to rock ‘n roll – and his son Marty shares some of the insight and behind-the-scenes life of what it was like growing up with a world-famous dad. Accompanying Marty is a seven-piece band who helps recreate the sounds and songs of Merle Haggard. With Marty’s remarkable similarity to his father’s voice, he entertains audiences in a two-hour production that covers the lengthy career of his father. An accomplished musician in his own right, Marty has received acclaim from the Academy of Country Music and given the “Top New Male Vocalist” recognition by the association. 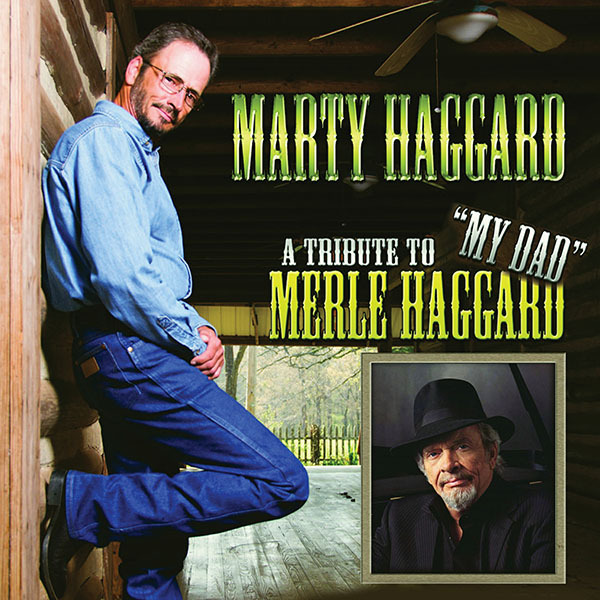 With a tribute CD to his dad under his belt (and another one in the works), it is easy to claim that there is no one else in the world more fitting to play tribute to the life and music of Merle Haggard.